When you think of the internet, think of it as a huge library of books and each book has a gazillion pages. Each time you make a click at Digital Scrapper, you are essentially turning to another page in our book. Our library is called the Internet (or World Wide Web). Our book in the library is called a Website. We've named our website Digital Scrapper (or www.digitalscrapper.com). Our pages in our book are called Webpages (such as www.digitalscrapper.com/plus). Our webpages contain information specific to our website. You wear shoes to walk into a library (internet) to search for a book (website). In essence, your shoes are a browser. They allow you to walk around the library and explore (surf). A browser is the program on your computer that you use to get to and explore the internet. The four most common browsers today are: Chrome, Firefox, Safari, Internet Explorer. It is important to keep your browser updated for security and compatibility reasons. Click on the wrench icon on the browser toolbar and choose About Google Chrome. The About Google Chrome window will open and Chrome will begin checking for updates. If updates are available, they will begin downloading automatically. If Google Chrome is already up to date, just close the About Google Chrome window. When the updates are downloaded and ready to be installed, click Update. On a PC: In the Firefox drop down menu, choose Help > About Firefox. On a Mac: In the Menu Bar, choose Firefox > About Firefox. 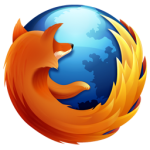 The About Firefox window will open and Firefox will begin checking for updates. If Firefox is already up to date, just close the About Firefox window. When the updates are downloaded and ready to be installed, click Apply Update. Firefox will need to restart for the updates to take effect. On a PC: From the Start menu, choose All Programs > Apple Software Update. On a Mac: In the Menu Bar, choose the Apple icon > Software Updates. Look through the list of available updates to see if any of them are for Safari. In the dialog box, place a check mark next to Safari and click Install. If you do not see Safari listed as a needed update, simple exit. On a PC: From the Start menu, choose All Programs > Windows Update. On a Mac: Windows only offers a trial version. Click on View Available Updates and click Install. An internet bookmark is very similar to a physical bookmark in that you use it to save your place in a book (website). Bookmarks are unlimited and are stored in your browser's toolbar or menu bar. A bookmark (or favorite) is a way of saving your favorite Web pages so that you can find them again later. Press Ctrl D (Mac: Cmd D) to add a bookmark. (or) Click on the yellow star in the Address Bar to add a bookmark. Name the bookmark and click Done. Press Shift Ctrl B (Mac: Shift Cmd B) to show the Bookmark Bar. Click on a previously created bookmark in the Bookmark Bar. If you want the bookmark to open in a new Tab, press the Ctrl key (Mac: Cmd key) when you click on the bookmark. (or) Click on the blue star in the Address Bar to add a bookmark. To the right of the Menu Bar, click on the Bookmarks drop down menu. Choose a bookmark from the list. Open the drop down menu and choose Bookmarks Menu. Name the bookmark and click Add. Click on the Bookmarks Menu icon. On a Mac: Ctrl click any where on the webpage and choose Add Page to Favorites. On a PC: Right click anywhere on the webpage and choose Add to Favorites. In the Dialog box, name the favorite and click Add. To the left of the browser window, click on the Favorites tab. In the Menu Bar, click on the Favorites button. Jen, you are the best…you make everything so easy! You are my favorite teacher…have always liked your tutorials best & I like your mischivious new photo. Nothing like visualizing using something familiar. Thanks so much. Very helpful. This is a great reminder – I often just stumble around till I get to the right place. Thanks. Nicely done and good info! Wow you make it sound so simple! Thank you thank you! Has anyone ever told you that you would make a great school teacher? Your analogy is fantastic in today’s explanation and I have no doubt you could make learning anything meaningful and fun. I am a retired teacher with 35+ years and believe me when I say I know a good teacher when I see one. Have a lovely day. In your opinion which browser is the best for a PC – Windows 7?? I’m using FireFox now, but have been thinking about changing to Chrome. Good basic information you put in here, it should help a lot of people. Thanks for your “opinion” on which browser you prefer. I was just trying to find an answer from Dell on how to troubleshoot my nonworking DVD player on my Dell laptop and their help indicated their online tools would only work with IE. I have IE on my computer but when I opened it up all I could see was the Crawler. I tried to search on how to uninstall it, but their directions didn’t work, and other downloads seemed to involve downloading a 3rd party something with a fee (no thank you). I think I have the latest IE downloaded since I tried to download and install IE 9 and it said I already had a newer version installed, so must have 10. I don’t like the looks of the crawler at all, it has stuff I don’t want to use. Do you know how to get rid of it? I think it is a good idea to keep IE installed because sometimes online help will only work with it (dumb of them, huh). Hi Linda. I agree… toolbars are annoying! you should be able to hide/show any toolbar. Go to View > Toolbars. Then put a check mark next to the bars you want to see. That’s one of the problems, there are no menu items to select. Oh, well, I’ll just try and ignore it. Jen, You sure put a lot of work into this, and it’s wonderful. However, if I don’t bookmark it then where would I go to access it from the Home Page. I can’t find access anywhere. Sorry for being a pest. Why I like Firefox… Firefox is smooth, sensible and geeky. Everything about it works and it’s expandable with add-ons and third-party plug-ins. Yet, you don’t have to be geeky to use it. Why I do not like Internet Explorer (IE)… 9 times out of 10 – when a friend or family member is having problems on-line – simply moving from IE to Firefox solves the issue. Thank you Jen, this made things a little clearer for me. Look forward to more information like this. 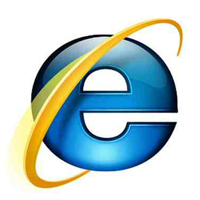 The only browser I have ever used is Internet Explorer and I AM frustrated with it. It frequently says, “Internet Exploer has stopped working” or “Internet Explorer cannot display the webpage” Now for my dumb question…How do I drop IE and get a new browser? Thanks for your great tips and I love your sense of humor. Hi Phyllis. 🙂 Thanks for your kind words. 🙂 I’ve provided links for you to download the other browsers covered in this post. You’ll see the links at the beginning of the “What Is a Browser?” topic. Although I’ve had a computer since 1984, your article is a great one. It’s chockful of interesting explanations. Thank you for your great tutorials. Really great info and answers alot of my questions. Love…love…love all of your tuts! Thanks a bunch!! I am giving this article to my computer “challenged” husband. Big help! Hi Jen! I have a lot of bookmarks which I would just hate to lose – either because of a computer crash or buying a new computer or changing internet provider. Is there someway we can save these bookmarks and move them to a new computer? Thanks for all you do! Hi Priscilla. Yes, you most likely can save your bookmarks. Which browser are you using? help all people starting, plus it helps me who never had it right to start with. Love you tips! Keep them coming. Sorry me again, can I save this to a PDF, again I seem to have lost the spot to do that. I might want to change search engines and wanted to be able to look up the information on that site. Now I know how to do the favorites and save, but if I switch I need to look at bookmarks etc. I’m having difficulty “unzipping” a file. Having never done it before, I tried to google how and came up with a lot of free downloads that I’m not sure I want to do. Is there a method to unzip a file? Appreciate your expertise.